...and it's off to the Good Doctor on the east coast! 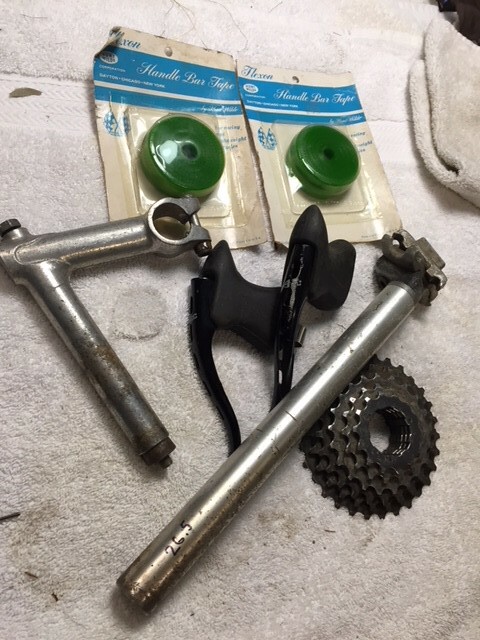 Also forgot to put back in a shifter cable and a pair 6-speed Shimano 600 shift levers I was thinking on, so by default, they are sticking with me, too. Anyone needs those, there are a couple more pairs in the box.